The music player is another noteworthy Nokia N96 application. With the huge number of supported formats you will hardly ever come across an audio file that the phone won't play. Album art is also supported but unluckily there are no alternative visualizations. Your music library is automatically sorted by artist, album, genre and composer and searching tracks by gradual typing is also available. You can also create your own playlists in no time. The process of adding tracks to the library is as simple as choosing the refresh option. You can avoid that if you upload the music via Nokia's proprietary PC Suite application. The music player automatically sorts your tracks by artist, album, genre e.t.c. The player comes with five equalizer presets and if they seem insufficient you can create new ones in a matter of seconds. Quite naturally, the player can also be minimized to play in background. In this case a tab appears on the stand-by screen indicating the currently running track. The dedicated music keys do help the sonic experience but, like we said, having two sets of them is too much. Finally the A2DP Bluetooth profile means that you can enjoy your favorite tracks on a stereo wireless headset. The audio quality of Nokia N96 has improved over its predecessors. The phone now has commendable noise and dynamic range levels, comparable to the best examples on the market. 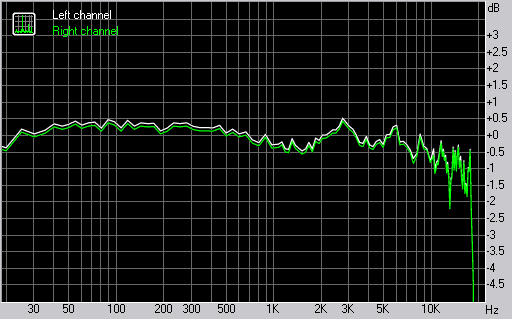 The frequency response has also been improved although it is still not perfect. However it is much better than it was on the Nokia N95 so the steps seem to be in the right direction. The problems about the audio quality of Nokia N96 are the comparatively high distortion levels and the relatively bad stereo crosstalk (this is not really disturbing). And here go the results so you can see for yourselves if Nokia N96 is good enough for you. Nokia N96 features Real player for playing your video clips. The video player can be displayed in both portrait and landscape mode and can be switched to fullscreen. When in full screen, the soft key labels are hidden so that they don't spoil the viewing experience and only pop up when a key is pressed. As you might have guessed, watching a video clip on a screen with this kind of picture quality is really enjoyable. The generous size is also a welcome benefit. This is where the kickstand comes in really useful. You can easily prop your Nokia N96 on a desk and watch without having to hold it. The stereo speakers come on top, which also improves the video watching experience. Once again the dedicated keys are rather convenient for managing your video files. Nokia N96 also comes complete with a DVB-H tuner, which enables it to receive digital TV broadcasts. Through the Live TV application you can access mobile television and radio services and watch and listen to digital programmes. The interface of the application is quite simple and easy to work with but have in mind that this feature isn't available without a SIM card inserted. Currently DVB-H is only available is a handful of cities around the world, which makes the Nokia N96 even more of a niche product. Here is the list of lucky places, where you can enjoy digital TV on handheld devices. As far as the rest of the world is concerned - the key selling feature of Nokia N96 doesn't look that tempting now, does it? The FM radio on Nokia N96 has a neat and simple interface and can automatically scan and save the available stations in your area. It also has RDS support and Visual radio. The latter requires internet connection and WLAN won't do. With RDS and automatic scanning however you're less likely to resort to network data transfers with Visual Radio. In addition Nokia N96 offers a direct shortcut to the online radio directory where hundreds of stations are available.